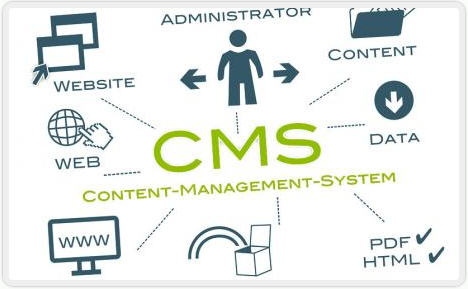 A content management system is a Web application that allows user with little to no HTML and programming experience to edit and maintain pages on their website after the initial completion by the web development company. Back in the dark ages of the internet companies and individuals were stuck with whatever web agencies left them with. And unless you had a maintenance plan and an ongoing relationship with your web agency you could have easily found yourself stuck with a website that was rapidly getting outdated. There is nothing worse than a potential client visiting your website only to find that the information was written back in the Stone Age and the date at the bottom of your site pretty much corresponds with the date the internet was invented. CONTENT MANAGEMENT SYSTEMS TO THE RESCUE! Then content management systems came along and companies could start updating and managing their own website without needing any HTML or programming experience. This has opened a world of opportunities for business owners who have the need to own a website but do not necessarily have a background in web development. By utilizing a content management system they can easily update and manage their own website content should they wish to do so. Currently the three main players in the world of content management systems are WordPress, Drupal and Joomla. Isp warehouse specialize in WordPress and Drupal development and can cater to your exact needs.